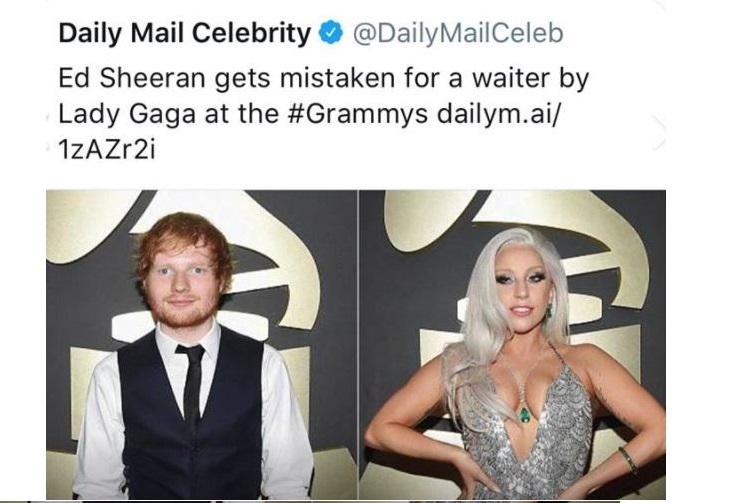 You are at:Home»Entertainment»ED SHEERAN GET MISTAKEN FOR A WAITER BY LADY GAGA AT THE GRAMMYS! What do you think? Should Ed gotten another outfit instead?? Previous ArticleMAN TRIES TO QUIT SMOKING BY LOCKING HIS HEAD IN A CAGE!!! LOL! Next Article LET’S STOP BEING ANNOYED BY EVERYTHING & START LIFTING EACH OTHER UP!